I am in the final recovery stages from the flu. I was one of the lucky ones to catch the end of the season full flu (both the cold-style and stomach-style...total body miserableness). The biggest pain in being sick isn't just the feeling crappy but how totally messed up all the due dates and everything gets right after. As those of you who follow my blog will know, I'm very overly busy, which I can usually keep up on, but being out of commission for three days was very not good. On the writing front, I revised a couple chapters this week, but nothing major. I was so sick that I couldn't even write or blog. Tomorrow morning I will post a MTM on the Columbia Yacht Club and tomorrow night I will make it around to all your blogs, I promise! As those of you who follow my blog will know, my character is whiny. I've been trying to think of a way to make her less whiny and I have figured it out. She's going to consciously decide to not be whiny. This will happen about 8k in, which hopefully isn't too far along, but it's at the right moment. I've also added some other scenes before that point where she isn't feeling sorry for herself. So this brings me to the topic of internal character transformations. An external transformation would be working out or learning how to fight with a sword, but an internal one is when a character slays his/her internal dragons through internal dialog. As readers we get to learn about their internal strength and reflect upon the reasons why he or she would want to change. It creates a character to look up to, while still showing them as vulnerable...point in case, they needed the change. This isn't the only epiphany that my protagonist is going to encounter. This is just the first one. 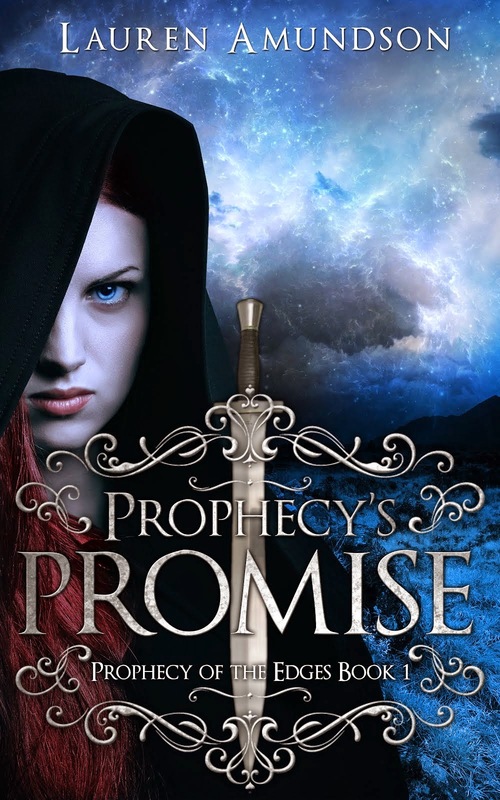 Hailey has many changes and opportunities for growth throughout the novel, even though this is very classic epic fantasy. One thing that is important is that while we want to read about flawed characters, we shouldn't want to strangle the protagonist. That's kinda counterproductive to the whole "page turner" concept. Of course, this plays on the sympathetic characters thing. An internal transformation doesn't always have to be happy or inspiring. Sometimes a character can learn something hard about the world (for example, life is often not fair and there is bad intentions in the hearts of many people). Or they can have an internal transformation that reshapes their previous transformation (it might not be fair, but some people do try to be--there is bad in people, but there is good too). Sometimes it can be scary to come to a realization about the world or yourself and at other times it can be refreshing. This adds depth and dimension to the characters and another level for your readers to relate to. Think back to a book that you have enjoyed. What about the characters or the plot line pulled you in? Most often it is a dynamic character, one that actively seeks to make themselves better, that pulls us in. If you write novels, what sorts of internal transformations do you characters go through? If you read them, what was your most memorable transformation? Chicago's Elevated Train (or El as it is usually called) is the second oldest in the country (behind New York). Pieces of it date back to 1892. There are some stretches of the El below ground, but it is still called the El. In the movie, The Dark Knight, when Christian Bale was driving under some elevated tracks, that was under the El. It costs $2.25 to ride no matter how far you want to go. Payment is taken when you enter the station. You can make as many transfers inside the station as you want. If you leave and transfer to a different station or a bus it costs 25 cents. Transfer rates last for two hours. If you take the El during peak morning and evening commute times be prepared to be stuffed in to the cars like little sardines. We have several lines (Red, Blue, Brown, Green, Orange, Pink, Purple, Yellow) and I have riden on all of them except the Yellow line. The Brown, Pink, Orange and Purple (when express) Lines run around the business area of downtown on an elevated circle called the Loop. The Green line also uses the Loops tracks, but only on the north and east sides. All the other lines that use the Loop make a P shape. They go to the Loop, circle around, stopping at each of the nine stations on the Loop and go back out again. Red Line- This is the line that I live by. This runs north to the edge of Evanston at Howard Street and south to 95th/Dan Ryan. The Red Line serves both Wrigley (Cubs Stadium) and US Cellular Field (White Sox Stadium). The Red Line is underground from just north of the loop to just south of the loop. It is one of just two lines that run 24 hours. Blue Line-This is the line that I take to class--well I take it to the shuttle that takes me to class. The Blue line runs from OHare through downtown (where it is underground) and then out to the west side. Pieces of this are underground as well. Brown Line- This line has the stereotype of serving the "nicer" areas. Mostly it just doesn't serve any not nice areas. It runs from the north side down to the loop which it circles and then runs back to the north side again. Green Line- This line utilizes the oldest pieces of track. Because of that, it has had much more recent construction, making it the line with the highest percentage of wheelchair accessible stations. Orange Line- This line serves Midway Airport. It was constructed in the early 1990s. I prefer to fly out of Midway and have taken this line down to the Airport several times. Pink Line- In 2006 the CTA overlaid new service on existing lines to create the Pink Line. The southern most branch of the Blue Lines and pieces of the Green Line were recommissioned to make more access to the train for those in the western areas. Purple Line- This line serves Evanston, a suburb to the north. During morning and evening commute times it runs express from Howard (where the Red Line ends) down to Belmont, south of which it follows the Brown Line route. I take the El all the time and find it very easy to navigate. I hardly ever bother with the buses as the El gets me where ever I need to go. I'm at 30k! Yey! (Don't worry CP people, you will only be seeing 7k). On another good news front, I got all my back pay! I can pay my mortgage! I have always viewed storytelling to be somewhat akin to weaving. The artist starts with various pieces of yarn and has an end goal of fashioning all of them into a coherent pattern without getting everything into a big jumble of knots. Let's switch from the weaving comparison to a knitting one, mostly because I've have some experience knitting (...I'm still working on that scarf I promised Crystal for Christmas 2006...). Sure you can knit a simple scarf with a basic stitch from start to finish and it will get the job done, but that's not terribly interesting. If you add a bit of texture to it with a more complex stitch or add in some different colors, your scarf will be more unique. You can also make a hat or some matching gloves. The more complex pattern that adds depth and texture to a knitted piece is like plot layers added to the main plot line. This catches the reader's eye and keeps them engaged. A well executed plot layer will allow you to delve deeper into your character and discover facets of them that you would not have been able to explore other wise. People are not truly single minded. What else is going on in your protagonist's life? Perhaps he or she has to deal with something from their past. Or maybe there is a love interest that is risking the outcome of the main objective (or the main objective is risking the outcome of the love interest). When first introduced the subplot will run parallel to the main story, but somewhere along the way it might be the primary objective for a chapter or two before coming back to the main story line. Just be careful to make sure that it doesn't overtake the main objective. But it shouldn't be thrown in willy-nilly. By the end of the book (preferably during the climax) your sub plot should be directly affecting your main objective sending the piece to a crescendo (oops..off of knitting and on to music...going back to original extended metaphor). The other colors are like side plot lines. They are different, but add to the whole of the piece. They allow the reader to engage with other characters. Just like a different yarn color can complement or juxtapose against the primary color of the piece, so can subplots. Each color is added for a reason, and the same should hold true for your secondary characters. You don't just take a finished piece and randomly poke some other color through out. Even if it looks random, the other colors of yarn are there for a purpose to add to the piece as a whole. You can't just throw in side plot lines to the novel. It needs to build on what is going on in the novel and augment it in some way. Also, even though it is a different color, it has a purpose and a pattern. Your secondary characters all have back stories and needs and desires. They might not be the main character in your novel, but every real person feels like the main character in his or her own story. You might not have time or reason to tap into more of the character, especially those of bit parts, but make sure that they follow a pattern and add to the piece as a whole. Each of these pattern and colors layer upon each other. At the end the pattern should be complete. You don't just randomly wrap up a complex knitting piece half way through a stitch set. You finish up the stitch, make sure everything looks even and that the side colors and textures are not out weighing the work as a whole. In novel writing we do have one advantage over knitting. Once the novel is complete, you can go back and fix weak side colors or incomplete complementary patterns. Look at your novel. Is it lopsided? Does it have enough depth and texture? Make sure you've knitted it together correctly because proper leveraging of subplots will add tension, depth, texture, and ensure the readers keep turning the pages of your novel, veraciously wanting to know what happens next.